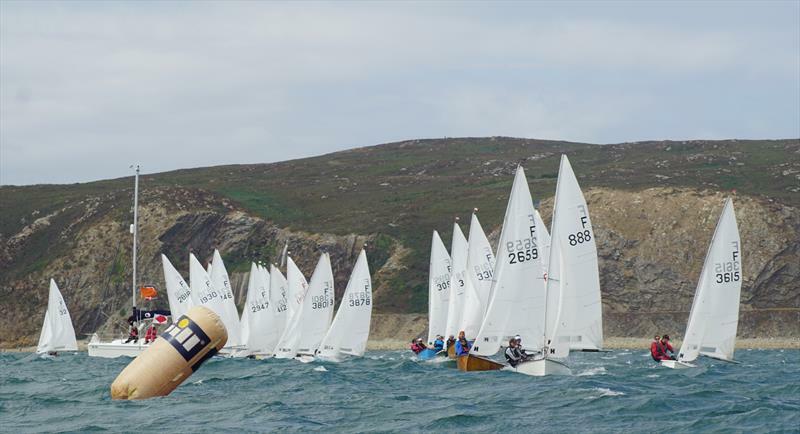 See the 2018 Firefly Champs report and results - the U21 trophy was won by Adam Stone/Ali Smith and the prize for the top institution-owned (school/university/etc) boat was won by Emily Heath/Alex Howe of Birmingham USC. The Championship was held at Draycote Water SC, hosted by the University of Warwick Sailing. See BUSA News, Report, and Yachts & Yachting. CANCELLED by Race Committee at midday on Friday 17-03-17, having met and consulted with WKSC ROs, due to the forecast gale conditions and the unlikelihood of the necessary minimum of 6 hours racing to achieve a result being achievable. Phoebe Scott reports on the 2016 Bristol Brew, hosted by the University of Bristol Sailing Club on Chew Valley Lake over the weekend of 3rd -4th December. Eighteen teams, from Bath, Bristol, Cardiff, Exeter, Imperial, London, Southampton Solent, Swansea and the University of the West of England, competed. Exeter Black and Blue eventually reached the finals, having seen off Cardiff Black and Bath Blue in the semis. Exeter Black won the event. Scotland's First team racing event of the 2016-17 season, the Glasgow Grouse, in its fourth year, attracted 24 teams (and had to turn away a further 6). Also published by Yachts & Yachting. Cancelled in light of forecast. Thanks go to Nottingham’s 1st Team Captain, Evie Howarth for her Report, much illustrated, on and off the water, by Notts County SCs David Eberlin. See Final Report, Full Results and Championship page. Held at Portland House, using the RYA Elliott 6M. See Full Report by Becca Davidson, PR Sec, Warwick USC, together with photos from Tom Needham, Social Sec. See Event Report from Tom Johnson, with photos from Emily Wiltshire. Gair Rhydd - Monday, 2 December, 2013 (p31).